Philipsburg – On September 6th, 2018, The General Audit Chamber submitted its report to Parliament entitled: Redundancy pay for political authorities: An investigation into the legitimacy of public expenditures regarding redundancy pay for former political authorities in 2017. Ministers and Parliamentarians are entitled to a (monthly) benefit upon termination of their service. This benefit is commonly known as redundancy pay and is covered by the national budget. 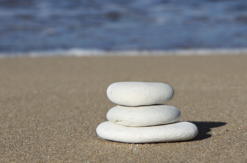 Redundancy pay is granted for a minimum of 1 year and a maximum of 2 years. 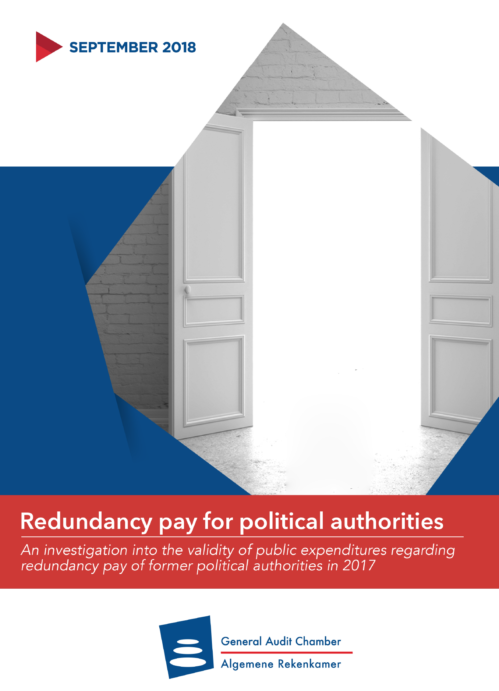 The amount of redundancy pay gradually decreases over time, from 95% of the original salary of a political authority in the first three months after leaving service, to eventually 70%. There is a specific procedure required by law that must be followed to receive redundancy benefits. The General Audit Chamber reviewed several aspects of redundancy pay with the objective of determining the number of former political authorities entitled to redundancy pay in 2017, as well as the amount of the public expenditure involved. In addition, the audit reviewed the application process, as well as the monitoring carried out by the Minister of Finance. 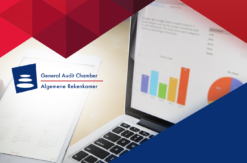 Given that every country within the Kingdom has similar regulations, the General Audit Chamber conducted a comparative analysis of the regulations. The most significant differences among the regulations are described in the report. 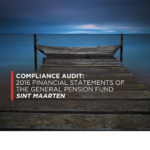 Among the findings, the General Audit Chamber found that in practice, legal procedures are not followed in terms of the redundancy benefits. For example, with one exception, past advances were paid instead of benefits, without the required formal basis (National Decree). As far as the General Audit Chamber was able to verify, applications for redundancy pay were made to the Ministry of Finance since October 2014. Despite the lack of formal decision-making for granting redundancy benefits, advances were paid in lieu of the benefit under the responsibility of the Minister of Finance. 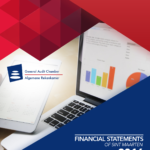 In view of their findings, the General Audit Chamber issued recommendations, the main one being the need to improve the internal administration so that information regarding the issuance of redundancy benefits is readily available. The information facilitates the legally required monitoring whether a beneficiary continues to meet eligibility requirements for the monthly payment. Moreover, the General Audit Chamber recommends amendment of the application procedure to include a minimum term of service of 180 days as a political authority, in order to be eligible for redundancy benefits. The General Audit Chamber concludes that “While our objective was to provide insight into public expenditures on redundancy pay in 2017, we were unpleasantly surprised that the required information was unavailable, advances in lieu of benefits were paid without the proper legal basis, and the registration of these advances was unreliable”. 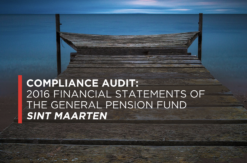 Furthermore, the internal controls and monitoring are insufficient or absent, according to the General Audit Chamber. “It is our opinion that these findings deserve immediate attention”.